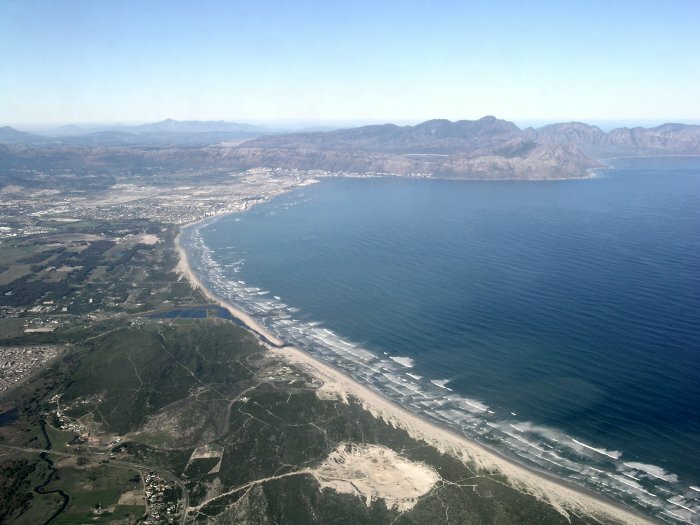 When it came to planning this sector, the initial temptation was to sample the service on the remaining major domestic carrier, Comair operating as British Airways. Then we noticed that SAA had an afternoon flight operated by a long-haul A340-600, with flat beds in Business Class. Add to that the geek-factor of experiencing flight 346 on board a 346, and there was no contest Sorry, BA! 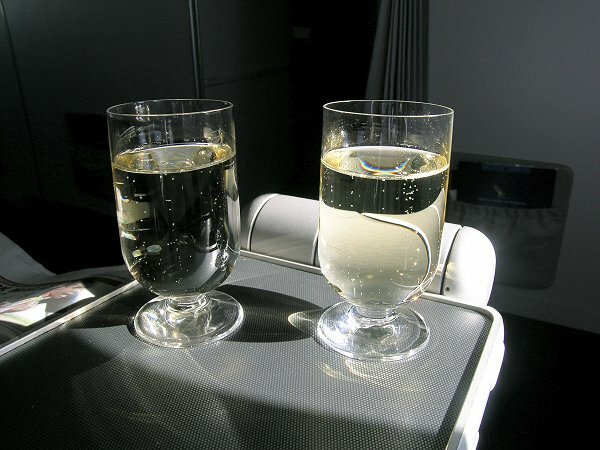 As I settled into 1K, I was offered a pre-departure glass of sparkling wine. (I could have had water or orange juice.) There was also a hot towels service prior to pushback at exactly 1505. 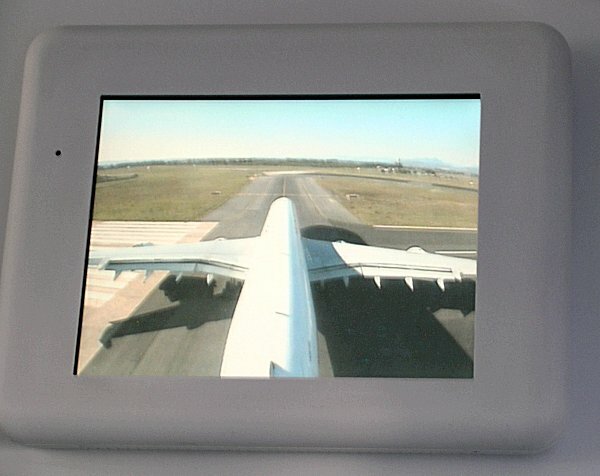 I thought the views from the tail-mounted camera were so cool Sadly, the images were switched off for the take-off run on Rwy 19, but were restored upon take-off. 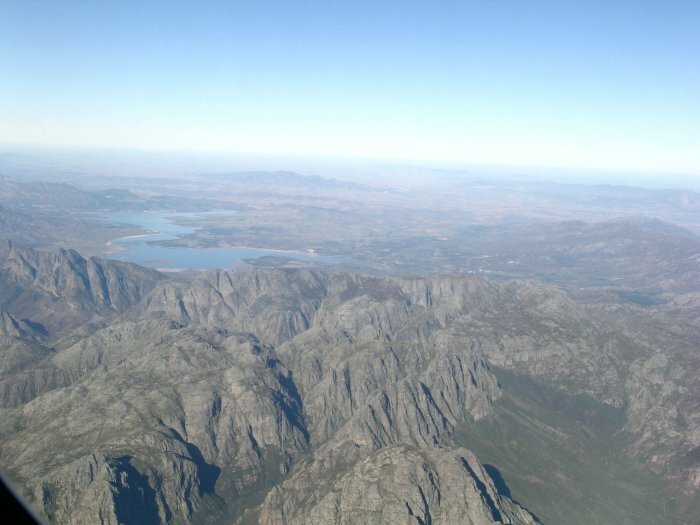 The Captain announced that our routing would be via Bloemfontein and that the expected flight time was 1hr 40mins. 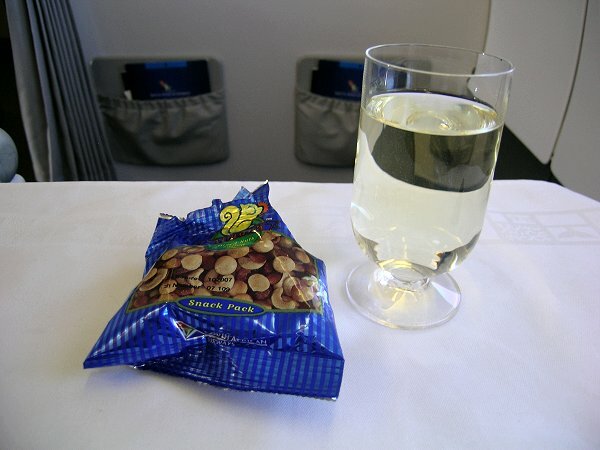 Cabin service started with drinks and nuts; I had white wine. 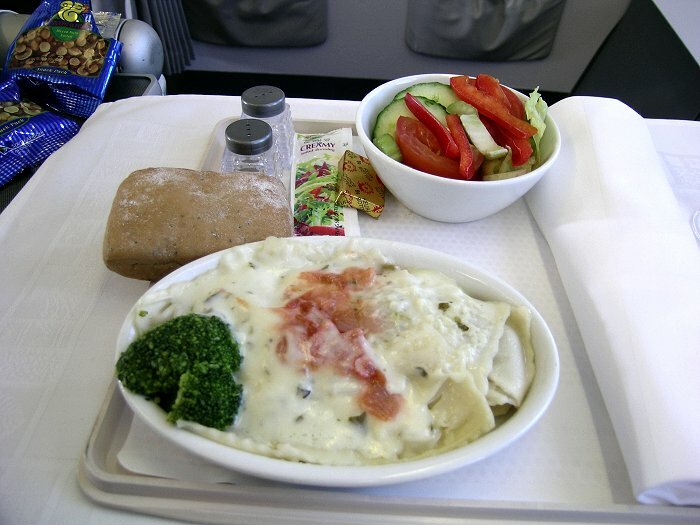 As a late lunch, I had ravioli and salad, followed by a mug of coffee. Once the tables were cleared, I decided to briefly try out the flat bed. It seemed as though it would be fairly comfortable, but I noted that the problem of extricating yourself from a window seat is certainly not confined to BA's forward / backward configuration. Flying conditions were smooth, but the skies around Johannesburg were unexpectedly busy and we had to do one circuit in the holding pattern before landing at 1707, again on the most distant runway. We braked fiercely in order to make use of a hard-right exit from the runway, but it was still 1717 before we got to our gate.